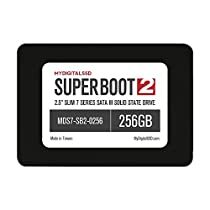 Super Boot 2 | SB2 | 2.5" | 7mm | SATA III (6G) | PHISON S11 Controller Super Boot 2: Turn Minutes Into Seconds MyDigitalSSD Super Boot 2 solid state drives guarantee your computer is ready when you need it. SB2 SSDs eliminate long boot times and slow loading applications while boosting overall performance and reliability for an improved everyday user experience. Pairing Toshiba TLC Flash and Phison's S11 controller, these easy-to-install 2.5-inch SATA III (6Gb/s) SSDs unleash your computer's full potential; delivering sequential read speeds up to 560MB/s for near-instant access to files and apps when clicked, increasing productivity up to 70X with faster multitasking and gaming load times. 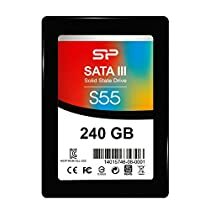 Super Boot 2 SSDs are also backward compatible with SATA II (3Gb/s) systems making them ideal upgrades for older PCs with spinning hard drives. With no moving parts, SB2 SSDs run cool, silent, and energy-efficient; extending battery life in notebooks while better handling shock and vibration to keep your data safe on the go. 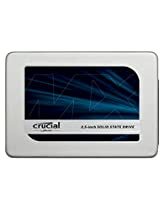 Like all MyDigitalSSD Slim 7 drives, the Super Boot 2 features a low-profile 7mm design with a 9.5mm drive screw alignment for use in a wide range of systems; from desktop workstations to the latest ultra-thin laptops (Ultrabooks) - PC or Mac. Why wait any longer? Switch to a Super Boot 2 and take your time back!